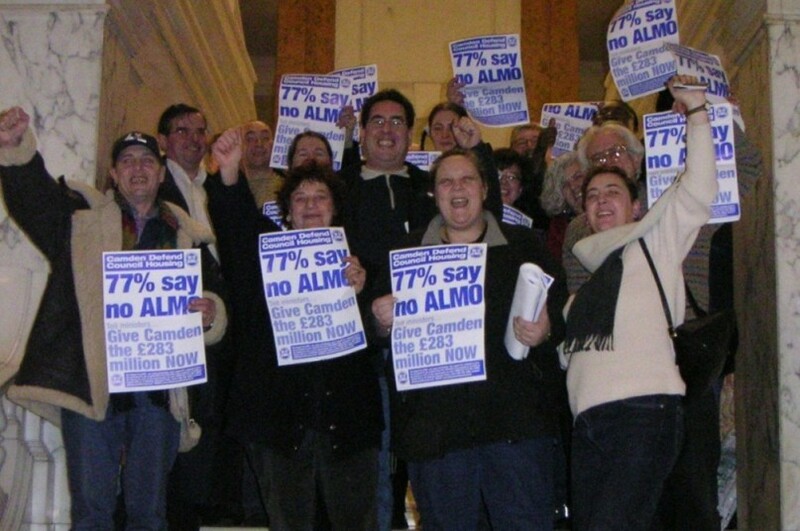 Tenants voted 90 per cent NO in a vote on transfer of their homes to a housing association. Following the terrible Grenfell fire, tenants everywhere are fearful. 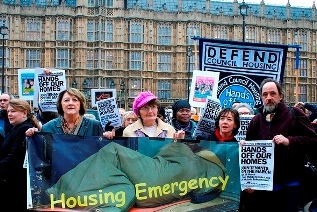 A campaign to Kill the Housing Bill - secure homes for all was launched today. 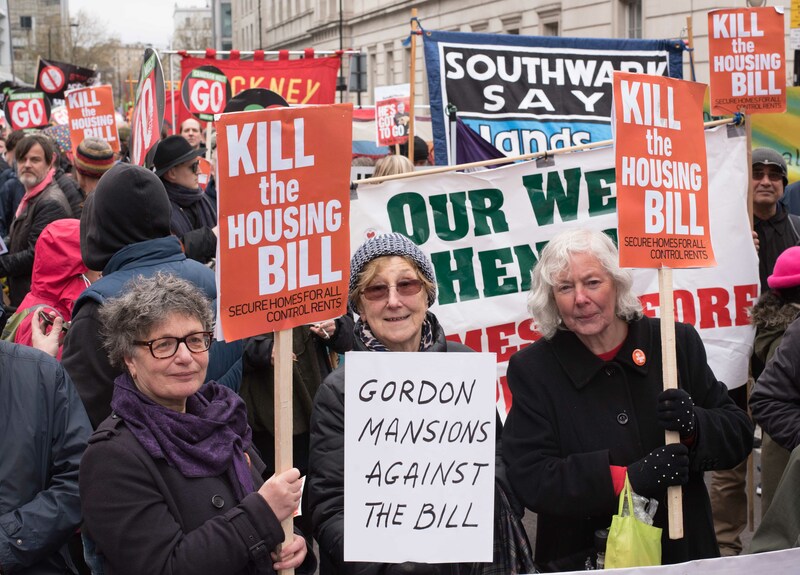 Opposition to the Housing Bill 2015 is growing fast. 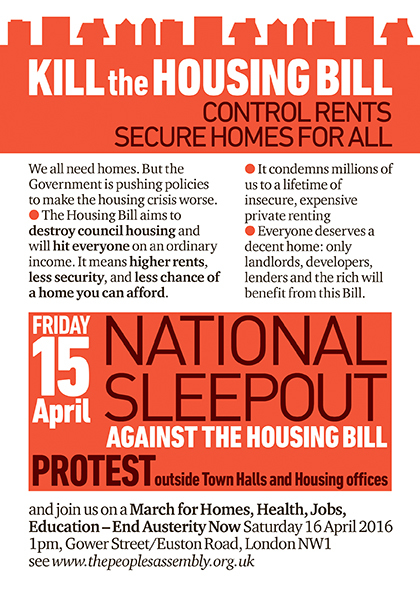 The Housing Bill 2015 is a serious escalation of attacks on council housing and tenants' rights. Is your Council at MIPIM 2015? 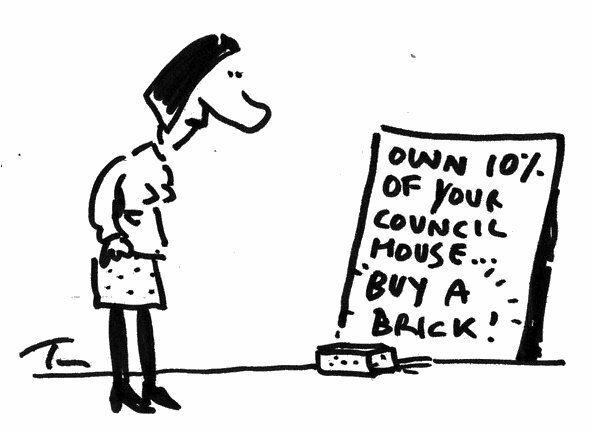 Who do Council homes belong to? 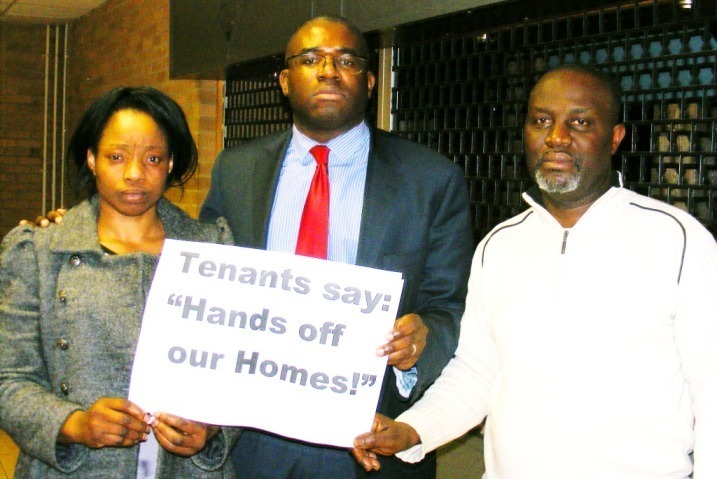 Haringey tenants are leading a fight against demolition of council homes and businesses. 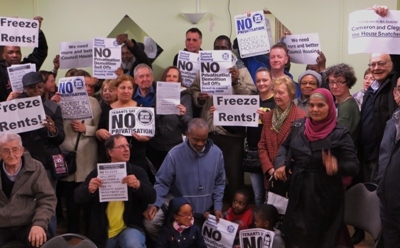 Cowley estate 'shareholder' tenants have voted 100 to 6 to oppose a stock transfer. Tenants still face the threat of privatisation through stock transfer in several areas. 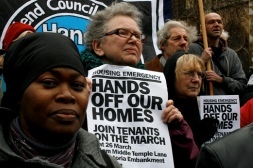 Two Councils have agreed to tenants' demands that no one should be evicted due to benefit cuts. 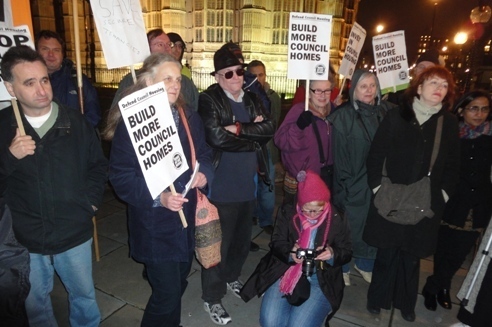 Caerphilly Council tenants reject privatisation of council housing, in a 2:1 No vote. A former Finance director is warning Councils of serious risks from self-financing. Eight pages make the case for direct investment and calls on government to ring-fence the national Housing Revenue Account and fully fund allowances to councils at 'level of need'. Two ALMOs in Oldham and Warrington proposing to privatise their homes underlines the importance of re-uniting the "council housing family" across authorities directly managing their homes and those with ALMOs to secure direct investment for all council housing. 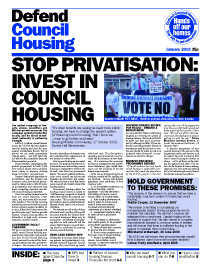 Distribute to tenants, trade unionists and councillors (£20 per 100 / £120 per 1000 copies). 196 council tenants, councillors and trade union delegates from 51 areas were joined by housing professionals, academics and MPs at the DCH national conference on 25 November 2008, at the University of London Union. Read more>> - including conference papers and slides (audio tape and report soon). The robbery from tenants rents is set to increase next April by £248 million to £1.83 billion. 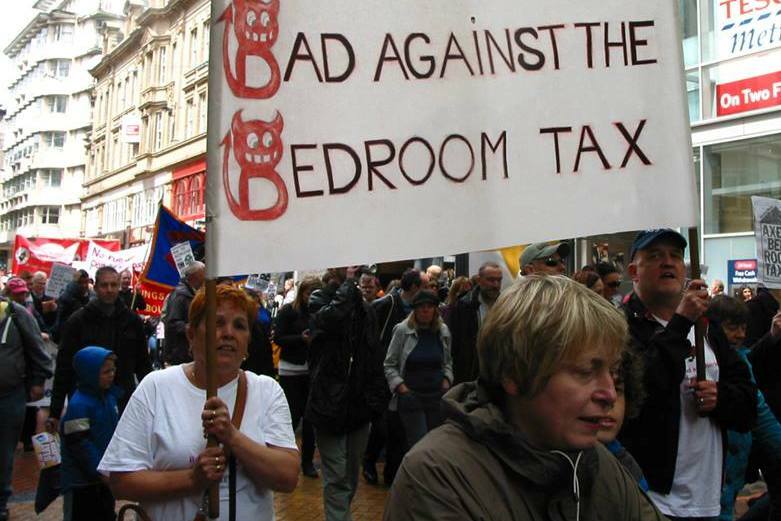 The 'Draft Subsidy Determination' issued by government shows that the average robbery from tenants increases from £926 to £995 whilst rents go up a massive £6.2% from April 2009. See what it means for your authority and get your organisation to send a formal protest letter (consultation deadline 9 Dec). Read more>>. There's been an angry response to the latest attack on 'secure' tenancies from the Chartered Institute of Housing. Housing Minister, Margaret Beckett, has now told Parliament "I am not at all sympathetic to the notion that council housing residents should somehow lose their security of tenure." Get your organisation to condemn the CIH proposals. Read more>>>. The 'Fourth Option' was debated at Labour's conference (Sept 23) for the fifth year running. The report - underlining a commitment to finding a solution on 'Decent Homes', the HRA review and building new council housing - was accepted despite widespread criticism that it still left key issues unresolved (see DCH Bottom line for council housing briefing and second leaflet). 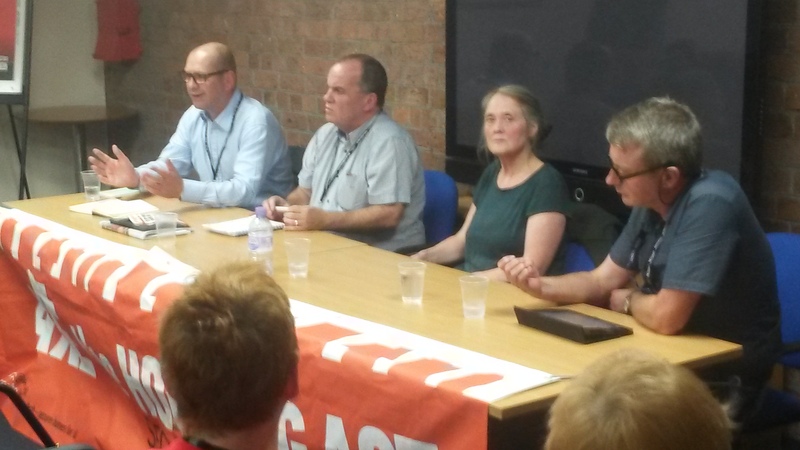 Dozens of Constituency Labour Parties, as well as major unions, submitted amendments to Labour's National Policy Forum (July 25/26) supporting the campaign's demands. In negotations the Minister made a significant concession. ('Major breakthrough' on fourth option'). Local authorities will now be allowed to bid directly for ‘Social Housing Grant’ to build ‘council housing’ (directly managed with ‘secure’ council tenancies). A new generation of first class council housing can now be built - and without the risks involved with councils entering into public/private partnerships with Local Housing Companies and other Special Purpose Vehicles. 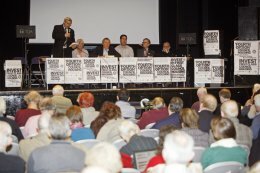 On ‘Decent Homes’ – particularly important for tenants in authorities being bullied to accept privatisation and those who have already rejected privatisation options but being denied improvements – there was a clear commitment to meet the standard but it was left ambiguous how this might be achieved. Commitment to additional resources for authorities facing a funding gap is now essential. Alongside the HRA Review (see below) these developoments reinforce the case for a complete moratorium on stock options and further privatisation until the new finance regime is agreed. Read final wording of amendment and separate letter of clarification. Tenants met with MPs at the House of Commons on 14 July to discuss our first submission to the government's 'Review of Council Housing Finance'. Get your organisation to support this paper or submit your own (hrareview@communities.gsi.gov.uk). The meeting welcomed the LGA endorsing our key demands (see right), and agreed to hold a national conference and a lobby of Parliament. 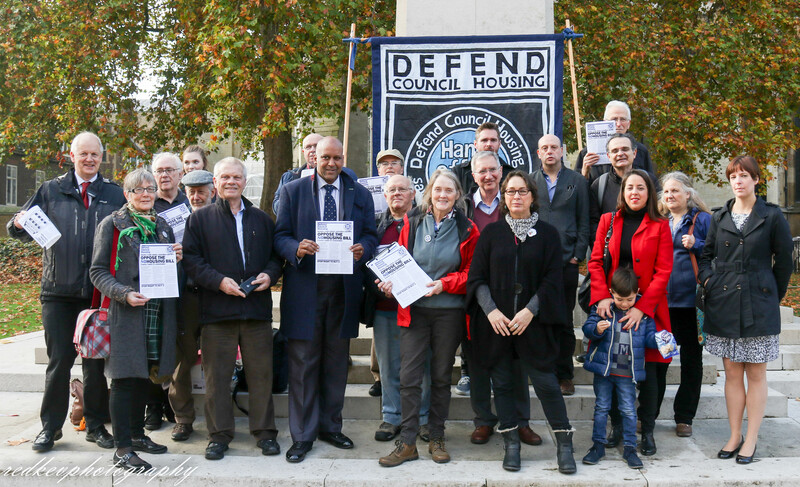 Join DCH to complain at government's failure to involve tenants in the review (see Tenant voice must be heard, Tenants must not be sidelined, Getting involved in the HRA review, Channels are open for tenants to use ). Ask your council to distribute the DCH submission and 'Dear Gordon 2' pamphlet to tenants reps to ensure they are informed. 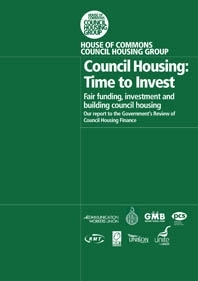 Background: In December 2007 Housing Minister Yvette Cooper announced a review (now called 'Review of Council Housing Finance') with the commitment "to ensure that we have a sustainable, long term system for financing council housing" and "consider evidence about the need to spend on management, maintenance and repairs". 'Dear Gordon 2' argues Gordon Brown can't keep his promise of 3 million new homes unless he drops the dogma and invests in council housing. The private sector is in crisis and the Local Government Association predicts council housing waiting lists will rise to 2 million households (5 million people) by 2010. 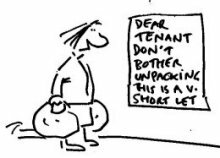 Updating 'Dear Gordon' (2007) the pamphlet reminds the Prime Minister that tenants, trade unions, councillors and MPs - plus three consecutive Labour Party conferences - demand the 'Fourth Option' of direct investment in council housing. It includes amendments to the Labour Party draft policy document and urges Labour Party members and affiliated unions to submit them. 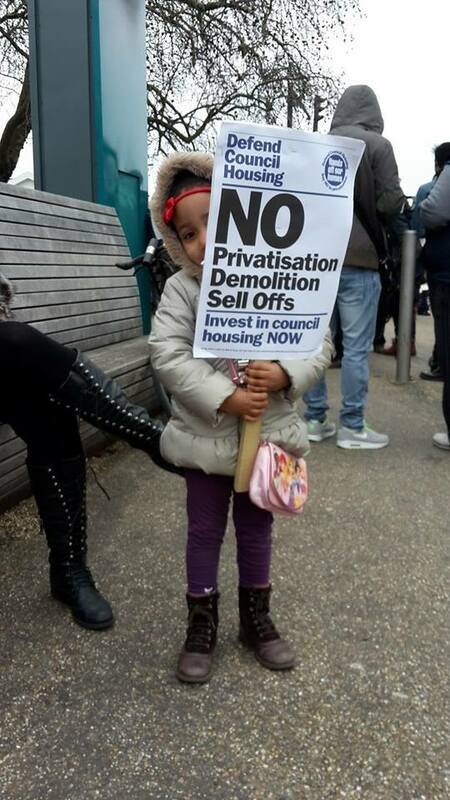 Organise a local protest to demand government fund improvements to all existing council housing, start building first class council homes to address housing need and commit to making council housing sustainble by stopping the robbery! 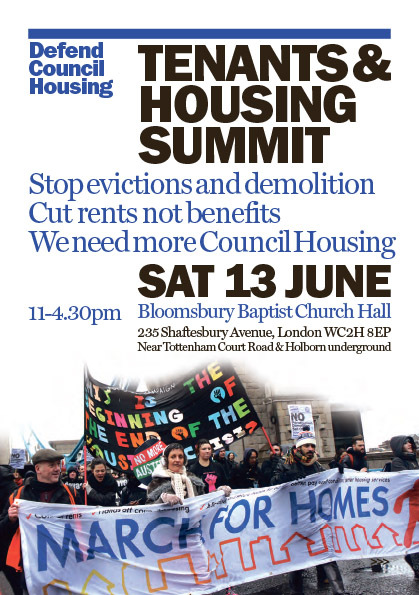 Invite tenants, trade unionists, councillors and people on the housing waiting list. Contact DCH for material and 'Fourth Option' hands. Ask Labour Party members and affiliated unions to submit amendments from DCH to the Labour Party 'Partnership in Power' policy consultation. On Jan 16 Austin Mitchell and Alan Walter met Iain Wright, the junior Housing Minister overseeing the Bill. Discussions covered the campaign's main concerns. MPs Austin Mitchell, Brian Iddon, Paul Holmes and David Howarth with Alan Walter and Eileen Short from DCH previously met Housing Minister Yvette Cooper (Oct 18) and discussed the Housing Green Paper, building new council homes, meeting Decent Homes and the government's response to Hills and Cave. 17 Constituency Parties submitted motions supporting the 'Fourth Option' that finally got onto the agenda. 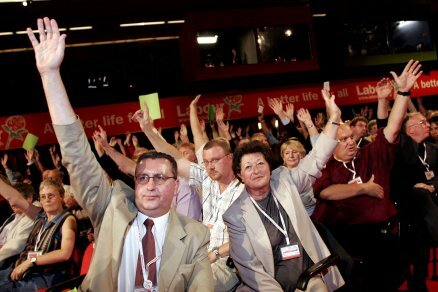 TUC delegates unanimously backed the 'Fourth Option' in a high profile debate on the first morning. 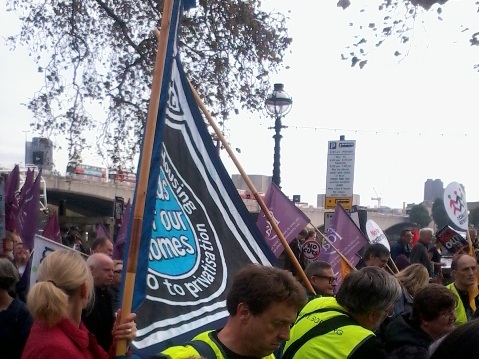 Britain's two biggest unions (UNITE and UNISON) both submitted motions moved by their respective general secretaries. UNISON general secretary, Dave Prentis argued "What is so wrong with councils renewing their housing stock... respecting tenants' choice?" and said earlier "Investment to improve existing council housing and estates and to start building new first class council housing, the clarion call of the "Fourth option" backed by Labour conference but still unimplemented, is now mission critical." UNITE's Derek Simpson told Congress "The housing crisis is a problem of affordability and supply. Unless we solve that problem it will be a major downer for the labour movement...I'm pleased that council housing is back as a term in the vocabulary of Labour - it hasn't been for too long. That is down to your efforts." DCH has produced an 'Interim Response' and additional response on Local Housing Companies (15 Oct) to the government's Housing Green Paper welcoming this opportunity to press the case for council housing (see covering letter, Compass article	and Press Archive). Get your organisation to formally respond to the DCLG consultation endorsing DCH's five demands. As Jack Dromey said at the DCH conference "the devil will be in the detail". The Green Paper directly addresses the key changes to housing finance we've all been demanding. But the solutions steer local authorities into gifting/selling council land to public/private partnerships. The ratio of new council homes to private homes is unclear and whether they will be 'secure' tenancies charging lower council rents and directly managed by an accountable elected council. Gordon Brown told the UNITE (Amicus) conference "I cannot promise to implement the fourth option on council housing today [a demand from the Defend Council Housing group for the last six years] but what I will tell you is that councils will be allowed to build homes again." 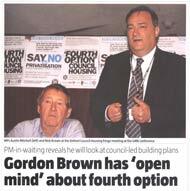 (Guardian Unlimited, 18 June) "Mr Brown has an 'open mind' about the fourth option for council housing, as an alternative to transfer, arm's-length management and the private finance initiative, his spokesperson said this week." Gordon Brown also told the GMB conference 'we will give help to councils by new means through which they can build houses as well'. And all six Labour Party Deputy Leadership candidates supported the 'Fourth Option' to enable councils to improve homes direct as an alternative to transfer, PFI and ALMOs (Give ’em the homes millions, says Brown’s deputy (whoever that turns out to be). 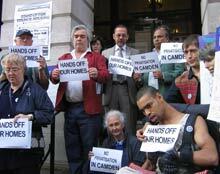 Camden tenants reps voted overwhelmingly against the council's latest proposals for partial transfers, demolition and sale of homes and land. 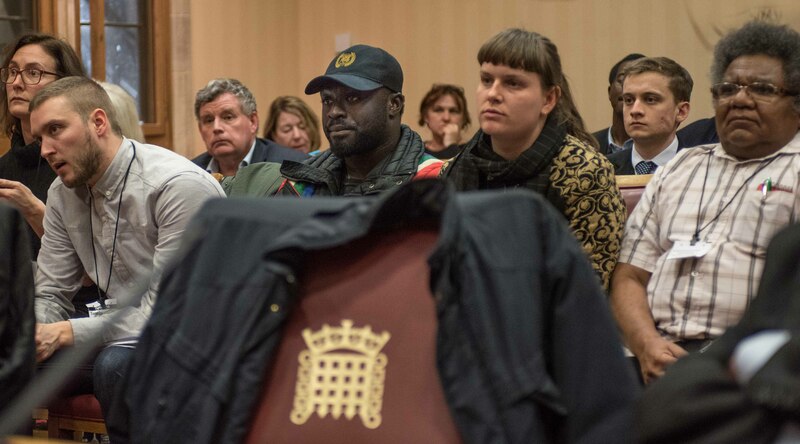 A packed meeting demanded that the council actively campaign by sponsoring a London wide conference to lobby for the 'Fourth Option' and a cross party delegation with tenants reps to meet Ministers. 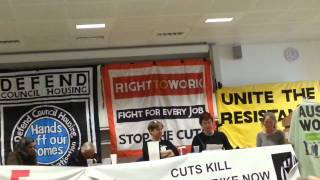 Hills launched his Ends & Means report with Ruth Kelly at the LSE on Feb 20. Hills said people would be disappointed if they expected him to attack a secure tenancy (although the report is more ambiguous). He applauded the role of public housing in providing decent, affordable and secure housing in the past and recognised the need for the future. He diplomatically said it wasn't up to him to decide on 'first, second, third or fourth options'. 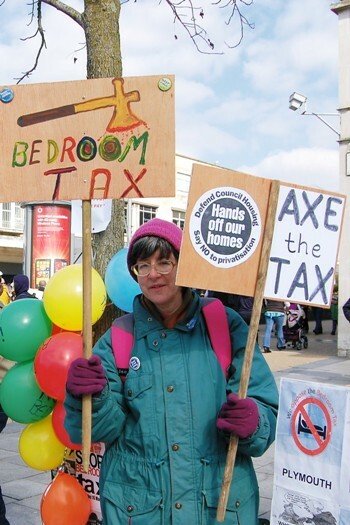 Ruth Kelly seized the opportunity to raise scrapping council secure life-long tenancies, introducing means testing and bulldozing council blocks to build private housing to create more mixed communities. 123 councils have already decided to keep their homes (Oct 2006). Make sure there's an effective campaign in all 55 areas due to ballot on stock transfer and those planning ALMOs. 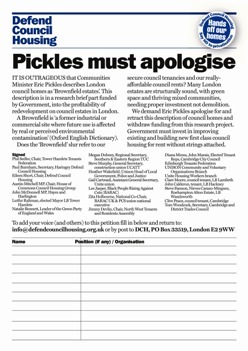 Bring together tenants, trade unions, councillors and MPs and contact DCH for help producing material to get the arguments out on local estates (also stock options survey). 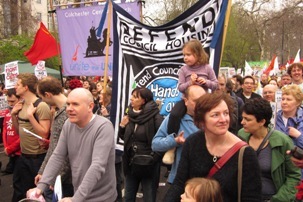 The big votes by tenants in many authorities shows the strong support for council housing. Tenants want improvements but we aren't prepared to trade secure tenancies and lower rents for new kitchens and bathrooms. Nor do we want to take the risk of two-stage privatisation by ALMO. Join tenants in Waveney, Cannock Chase, Selby, Mid Devon, Sedgefield, Ellesmere Port & Neston, Kingston, Wrexham, Aberdeen, Birmingham, Dudley, Camden, Southwark and elsewhere who have voted NO to privatisation! Let us know what's happening in your area. 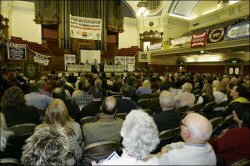 More than 1300 tenants, trade unionists and councillors, from over 90 areas across the UK, took part in the Lobby of Parliament and rally on Feb 8 2006 (web report and bulletin). Delegations heard from 32 speakers, exchanged experience and lobbied their MPs. Councils can no longer tell tenants that government policy is set in stone. Tenants met with MPs at the House of Commons to discuss a submission to the government's 'Review of Council Housing Finance'. Get your organisation to support this paper or submit your own. Complain about government's failure to involve tenants in the review (see Tenant voice must be heard, Tenants must not be sidelined, Getting involved in the HRA review, Channels are open for tenants to use ). 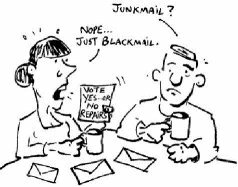 Ask your council to distribute the DCH submission and 'Dear Gordon 2' pamphlet to tenants reps to ensure they are informed. 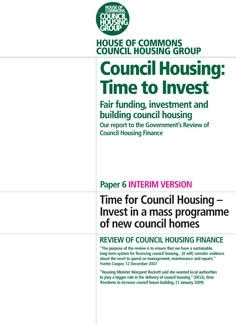 LGA, CIH, CIPFA and others now say "Spend council rent on building and improving council housing"
Key organisations launched a My rent went to Whitehall position paper at the LGA conference on July 2 which endorses the key housing finance demands DCH and others have been making. DCH is concerned that breaking up the national HRA system leaves tenants exposed to changes to interest rate, inflation and other risks and could make it easier to privatise homes. The campaign believe that requiring government to fully fund allowances to local authorities provides a more certain and less risky solution (Read policy statement). "Brown suffers big backbench revolt over council house repairs"
(The Guardian, 1st April 2008) 'Gordon Brown suffered one of the biggest backbench revolts since becoming prime minister last night as 28 Labour rebels backed an amendment to a housing bill calling for more resources for council house building and repair...'. A new government report looking at councils opting out of the national Housing Revenue Account (HRA) has identified that "anticipated levels of future subsidy… are not sufficient to maintain a sustainable level of housing services within the HRA subsidy system." (Self-financing of council housing services: Summary of findings of a modelling exercise, CLG, March 2008) "We are talking about the major repairs allowance across the country being 40 per cent short of what most people would estimate is a minimum investment need over 30 years" (Steve Partridge, Housing Quality Network consultant supporting the review group, Inside Housing 14 March 2008). Read DCH Briefing on CLG report conclusions. New Housing Minister Caroline Flint made her first headline proposing council tenants apply for jobs as a condition of tenancy. 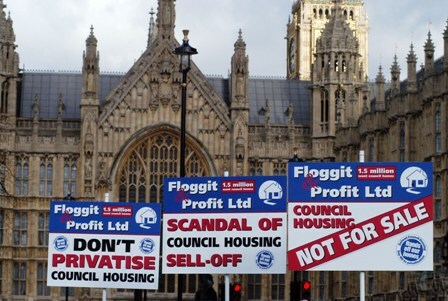 Part of the agenda is to stigmatise council housing so as to continue their drive to privatisation and counter growing demands for government to modernise existing estates and start building a new generation of council housing (Council tenants condemn Flint's statement). Search Press Archive) on 'Means Tetsing'. 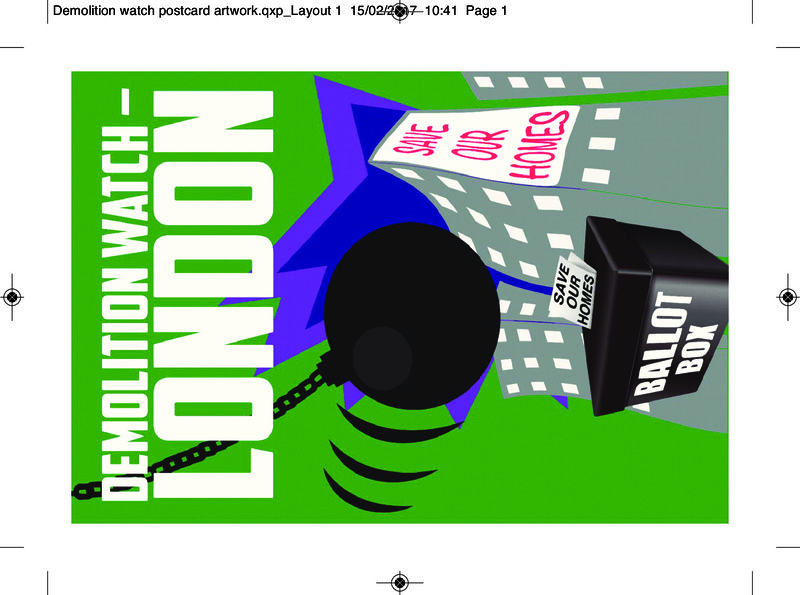 DCH has produced a 98 page pamphlet bringing together 31 articles from leading tenant activists, MPs, trade unionists, councillors and academics. 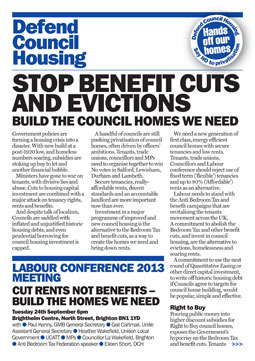 Get your organisation to bulk order (@£2.50 each) printed copies to distribute to tenants reps, councillors and trade unionists in your area. 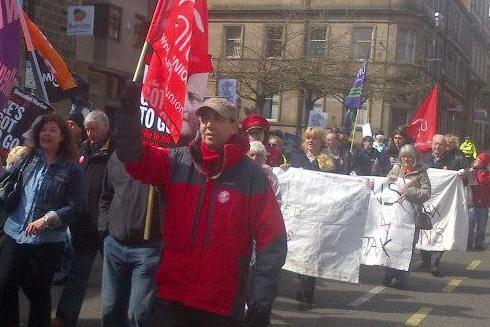 DCH has produced 100,000 copies of a Welsh newspaper sponsored by the Wales TUC, UNISON, T&G and GMB and a Scottish newspaper to support local campaigns against transfer. The House of Commons Council Housing group has produced a 40 page report documenting the evidence they gathered from their inquiry into support for the 'fourth option'. 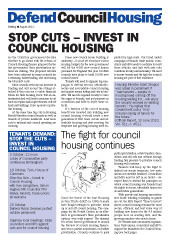 Help make sure it is widely read by tenants, councillors and trade unionists in your area. Unlike local authorities we can't dip into the Housing Revenue Account and use tenants rents to campaign. DCH relies on affiliation fees, donations and sale of publications to get the arguments across. 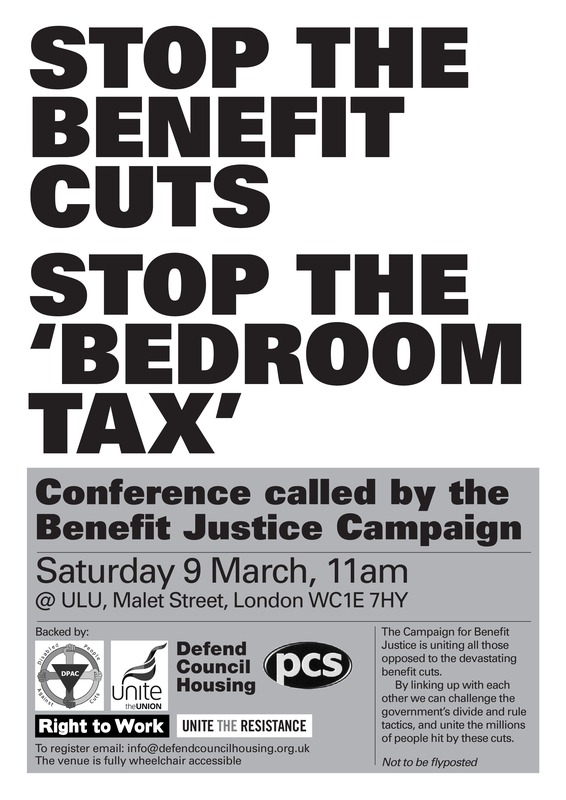 Raise support in your tenants association, union branch, Trades Council and political party. Download details.